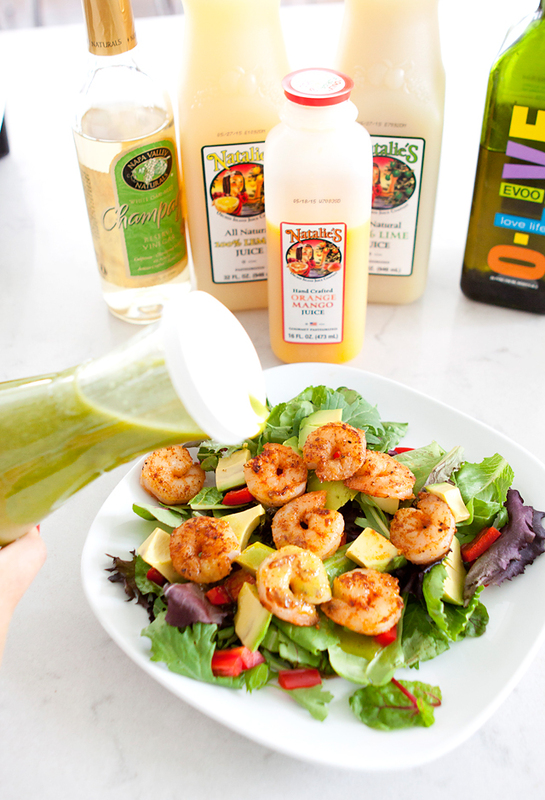 I am partnering with Natalie’s Orchid Island Juice Company today to share with you an amazing Spring salad with Shrimp, Mixed Greens, and an Orange Mango Cilantro Vinaigrette. 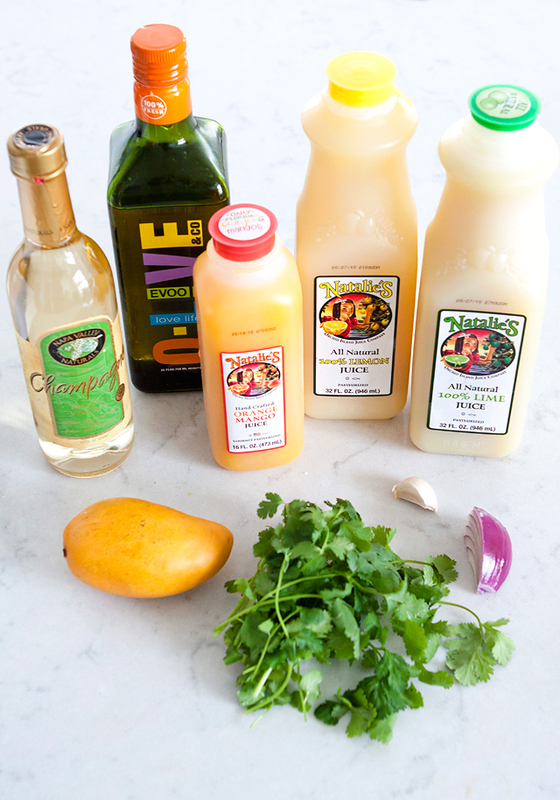 Natalie’s Orchid Island Juice is a family owned business out of Florida that has been around for 25 years! They grow and squeeze only the best for their customers, and guarantee a clean label juice using minimal ingredients that are NON-GMO, soy free, and gluten free. Their juices are squeezed fresh to order, and they never add preservatives or hidden ingredients, and made right here in the USA! I was so impressed with their quality, and variety of juices! I was able to serve some at my son Ezra’s eighth birthday party, and our families couldn’t get enough! Our favorites were the Orange Pineapple, Grapefruit, Orange Mango, and the Lemonade’s were a big hit! I was excited to create a recipe from their fresh juices! 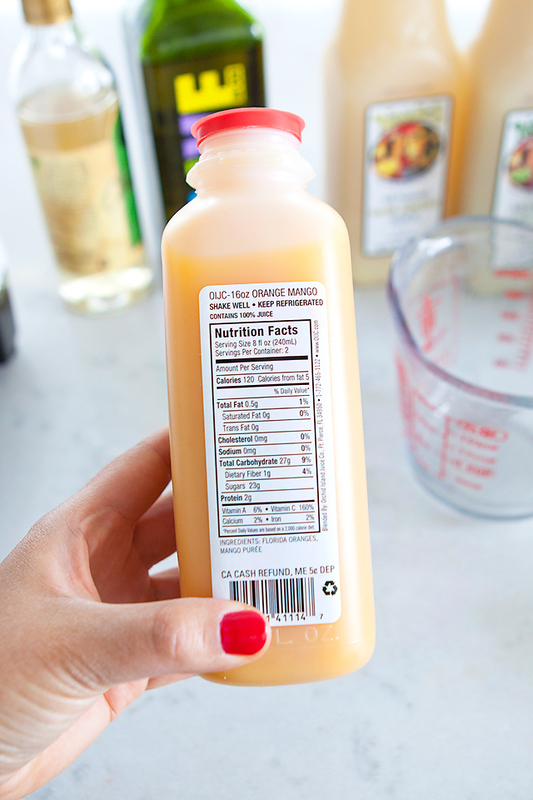 The most important thing for me when I look at juice to feed my family is the ingredients. I always look for hidden preservatives or sugars. Natalie’s juice ingredients were simple. Just the way I like it. Only fresh fruit juice! 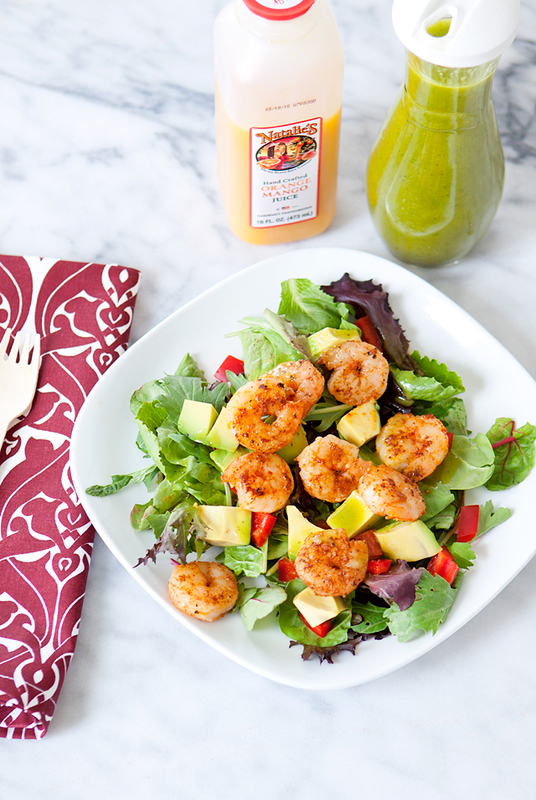 To make the mango orange vinaigrette, you will need a few ingredients. 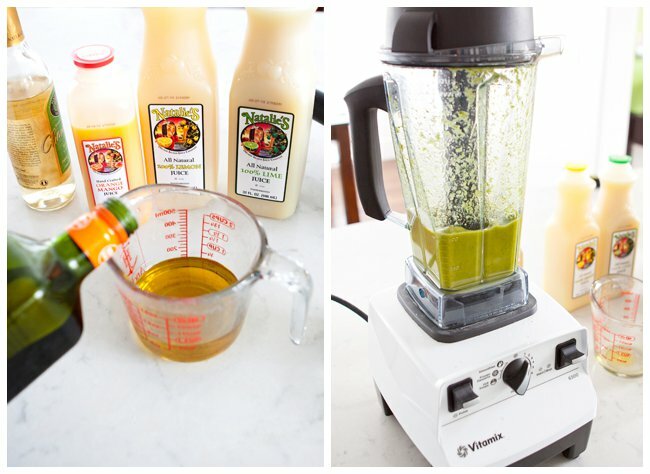 Place all items except for olive oil in into a blender. Drizzle in the olive oil at the end until it is all blended together. Add Salt and Pepper to taste. 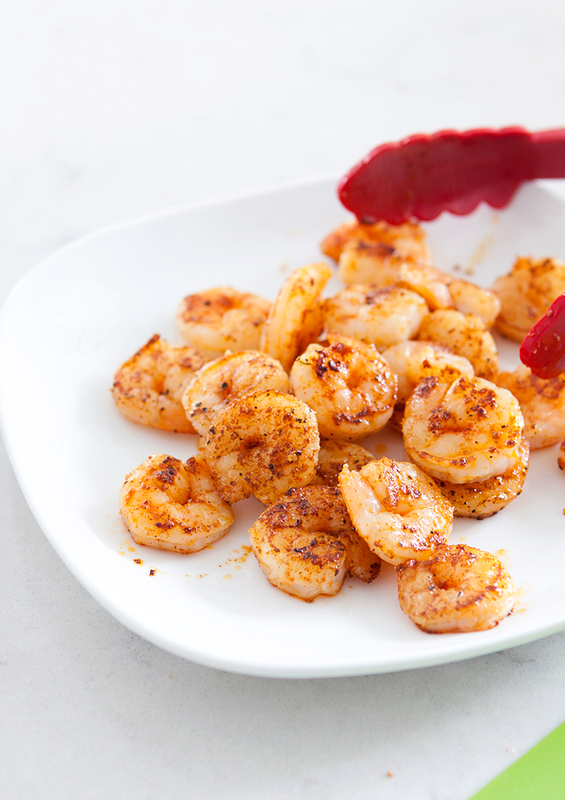 Rinse shrimp with water, and pat until completely dry. Season 1/2 lb of shrimp with tails removed with. 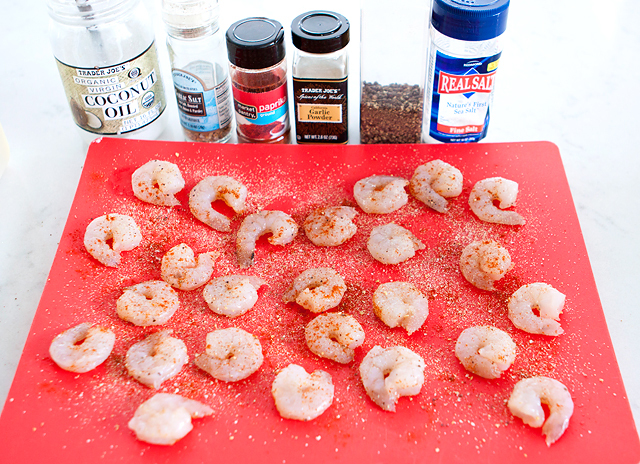 Garlic salt, paprika, garlic powder, fresh ground pepper, and sea salt. Heat 1/2 tablespoon of coconut oil in a skillet over medium heat. 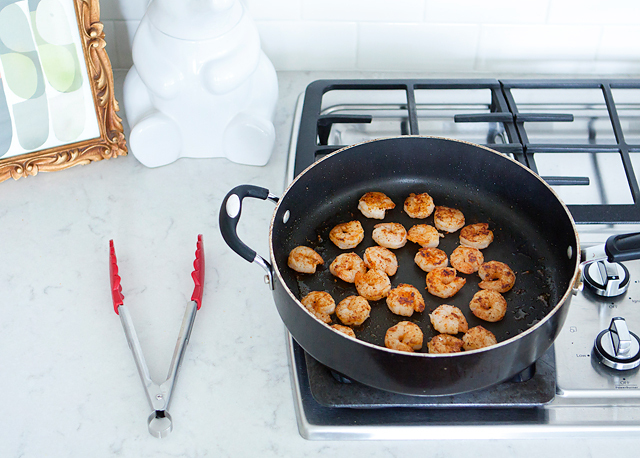 Place shrimp into the skillet, be careful to not crowd the pan so that they will cook evenly and not become rubbery. Cook for about 2 minutes per side. They will not take very long. Remove from skillet, and set aside. 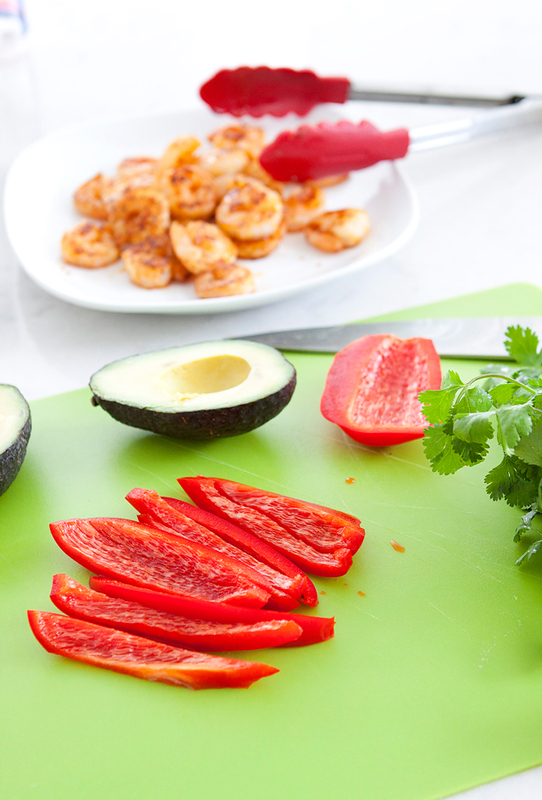 Chop up one red pepper, and dice one avocado. Plate mixed greens onto a salad plate, and top with diced avocados, and red peppers. 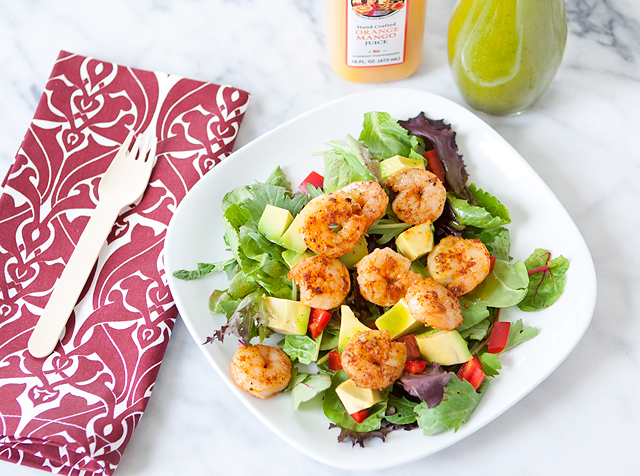 Drizzle with the freshly made Orange Mango Cilantro Vinaigrette. 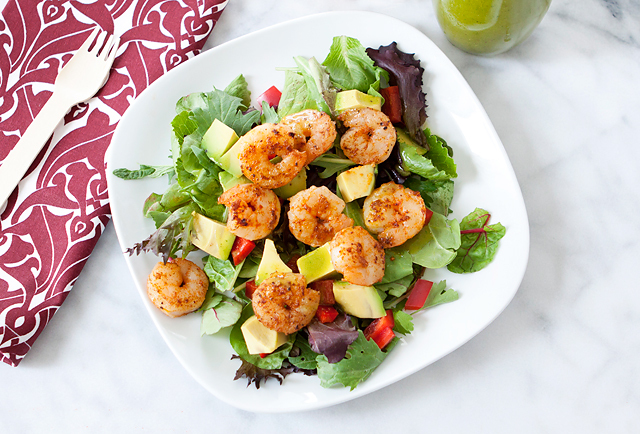 This Salad is perfect for a light lunch or dinner, on a beautiful Spring day! Thank you Natalie’s Orchid Island Juice Company for Sponsoring this post. 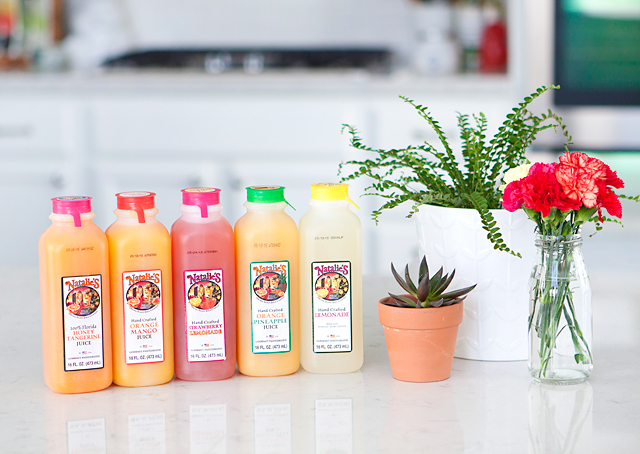 Find out where to purchase Natalie’s Juice in your area here.